IN LOTS OF 20, 50 & 100. 192 units @ $5.85 each. 384 units @ $5.53 each. 48 units @ $6.18 each. 576 units @ $5.20 each. 960 units @ $3.90 each. CAROMA 1 OZ. 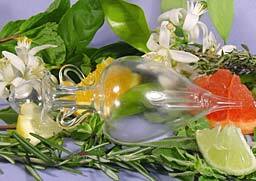 REFILL MENTAL ENERGY OIL GOOD FOR 6 MONTHS @ 10% DISCOUNT. 108 1 oz. refills @ $6.73 each. CAROMA 1 OZ. 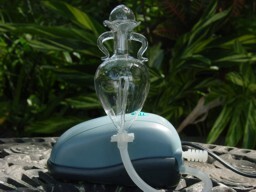 REFILL MENTAL ENERGY OIL GOOD FOR 6 MONTHS @ 20% DISCOUNT. 216 1 oz. 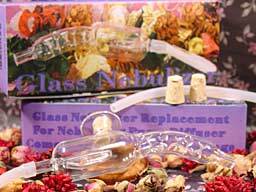 refills @ $5.98 each. CAROMA 1 OZ. REFILL MENTAL ENERGY OIL GOOD FOR 6 MONTHS @ 30% DISCOUNT. 324 1 oz. refills @ $5.24 each. CAROMA 1 OZ. 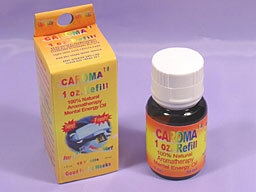 REFILL MENTAL ENERGY OIL GOOD FOR 6 MONTHS @ 40% DISCOUNT. 432 1 oz. refills @ $4.48 each. 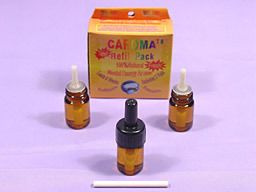 CAROMA 3-VIAL REFILL PACK WITH 3 VIALS MENTAL ENERGY OIL @ 10% DISCOUNT. 144 3-vial refill packs @ $1.75 each. 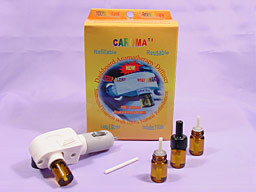 CAROMA 3-VIAL REFILL PACK WITH 3 VIALS MENTAL ENERGY OIL @ 20% DISCOUNT. 576 3-vial refill packs @ $1.56 each. 1152 3-vial refill packs @ $1.17 each. 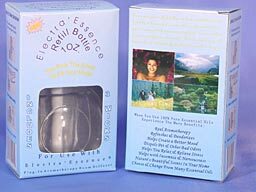 Electra'Essence 1 oz. refill bottle. Comes with 3 wicks. 960 units @ $1.17 each. 480 units @ $1.56 each. 240 units @ $1.65 each. 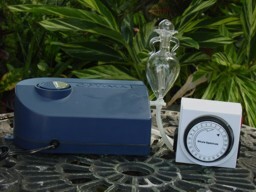 ELITE 801 (so-called "Room") MODEL WITH ON/OFF SWITCH & TIMER & TOP LOAD GLASS. 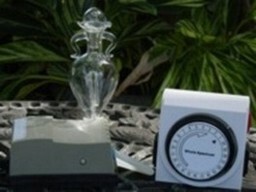 50 units with timer & on/off switch @ $28.15 each. 50 units without hi-low switch @ $18.45 each. Output between Rena 200 and Elite 801. 100 units without hi-low switch @ $15.90 each. 20 units without hi-low switch @ $20.97 each. OPTIMA 807a (so-called "Pro") MODEL VARIABLE CONTROL, ON/OFF SWITCH & TIMER & TOP LOAD GLASS. 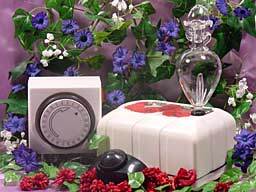 50 units with timer & on/off switch @ $49.10 each. 100 units with timer & on/off switch @ 44.75 each. 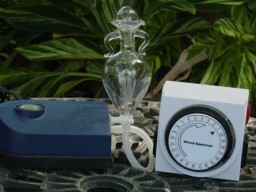 20 units with timer & on/off switch @ $53.45 each. 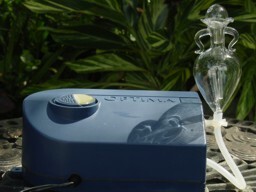 OPTIMA 807a (so-called "Pro") MODEL WITH VARIABLE CONTROL & TOP LOAD GLASS. 50 units @ $39.10 each. 100 units @ $34.75 each. 20 units @ $43.45 each. 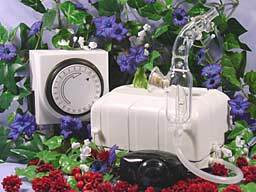 PROFESSIONAL MODEL TOP-LOAD TUBELESS, VARIABLE CONTROL, ON/OFF SWITCH & PROGRAMMABLE TIMER. 50 units @ $39.90 each. 100 units @ $37.75 each. 20 units @ $41.97 each. 20 units at $41.97 each. 50 units for $46.25 each. 100 units for $42.25 each. 20 units for $50.30 each. 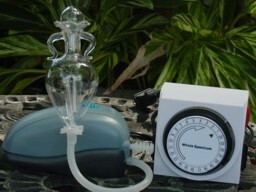 RENA 200 HP (so-called "Tranquility") MODEL VARIABLE CONTROL & TOP LOAD GLASS. 50 units for $36.35 each. 100 units for $32.25 each. 20 units for $40.30 each.